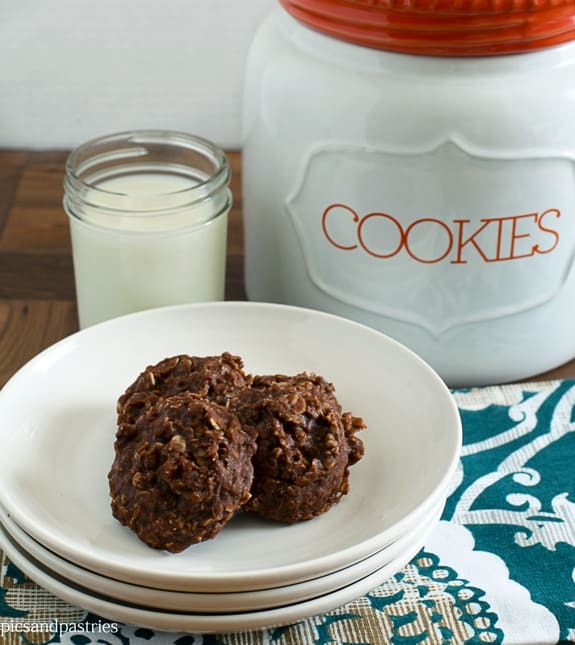 No Bake Cookies with a yummy cookie spread. 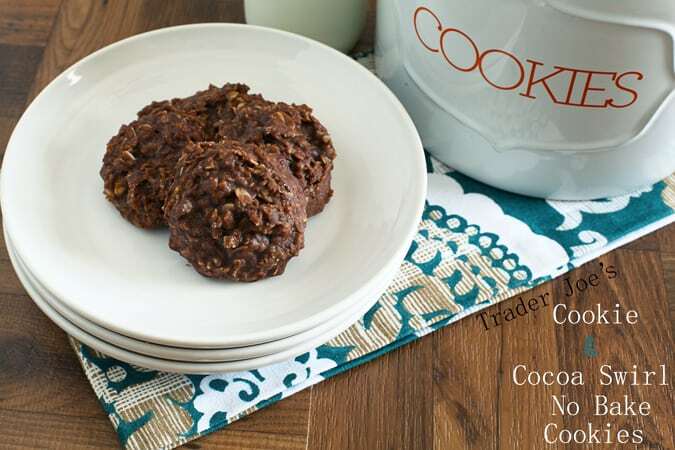 Trader Joe’s Cookie and Cocoa Swirl No Bake Cookies are a yummy change from the traditional No Bake Cookies. Last weekend we visited our friends in Louisville, KY which is always a great time. While there we finally got to go into a Trader Joe’s. We didn’t do any actual grocery shopping but we did taste some yummy food samples (the cherry juice is delicious) and bought only one thing. 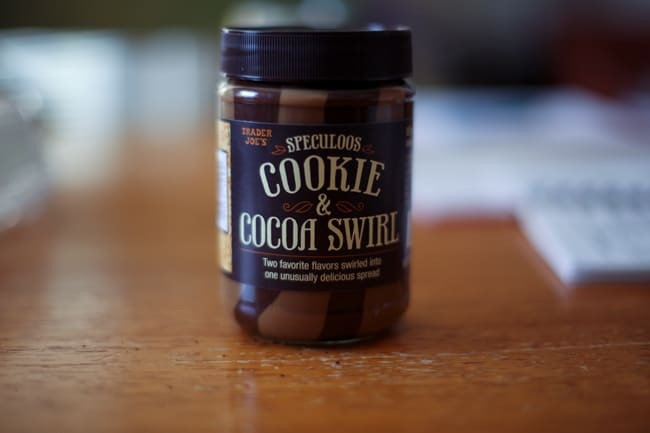 Cookie and cocoa swirl spread. Need I say more?? . I knew right away I wanted to bake with it and I figured it would be some kind of cookie! We returned home Sunday evening and were exhausted. Consequently, I wasn’t going to do any baking. However, Monday morning I awoke bright-eyed and bushy-tailed and had my mind on no bake cookies. I told my husband how I planned on using the cookie spread we bough and he gave me a high five! This is the yummy spread. If you are like me and do not have a Trader Joe’s around you then you can possibly order it or play around with the spreads that your local store carries. I know that they are becoming more and more popular. I attended a small k-8 grade school and our cafeteria lunches frequently served chocolate no bake cookies. Every time I eat no bake cookies it’s like a trip down my memory lane. They are inexpensive to make, quick and delicious! Once the oats are added to the chocolate mixture is begins to set up quickly so I recommend having the wax paper ready to place the cookies on. I used 2 cups of quick cooking oats and one cup of old fashioned. It's important to not add the oats all at once. You may not need 3 cups of oats. If you do use all the oats and the mix starts to get dry just add another scoop of the spread.